Finding affordable life insurance for seniors over 65 is not has hard as it may seem. One of the most frequent comments that we receive is from older applicants that think they won’t be able to afford the life insurance coverage that they need. Regardless of your age, there are several options for quality and cheap life insurance that you can choose from. Life insurance is extremely important for every family to have. A life insurance policy will provide for your family if something tragic were to happen to you. Life insurance policies will give you family the funds they need to cover all these expenses left behind as well as help them as they grieve through the difficult time. When someone passes, they can leave behind some massive debts. For example, the average funeral can cost around $10,000, plus any medical bills that can occur at the end of someone's life, and also any outstanding debts they may have life mortgages, car payments, credit card bills, or student loans. The best way to offset all of these expenses is to purchase a life insurance policy, but for anyone over the age of 65, this can become difficult. Many people older than 65 think that finding a life insurance policy is impossible, or the monthly premiums for an adequate life insurance policy will be too expensive, but you might be surprised how affordable a policy can be. Most term life insurance companies will issue term policies that expire at age 90 or before. That means that if you are exactly 65 you can get a 10,15,20, or 25-year term policy. If you are 66 or older your options are 10,15, or 20-year term. Once you are older than 71, your options are limited to 10 and 15-year term. Most seniors typically don't look for policies longer than 15 or 20 years anyway, and many choose 10 years simply because a 10-year term will be the most affordable option. Perhaps you're needing rates from various companies such as Allstate term life insurance rates. Or maybe you're searching for AAA term life insurance quotes. If so, we can help. For many consumers over the age of 65, no medical exam policies could be the best option. As you can guess from their name, these policies allow you to purchase a life insurance policy without having to undergo a physical exam. With some companies, you will still have to complete a short medical questionnaire, but other companies are "no questions asked" policies. We can also help if you are searching for Life Insurance quotes over 50. If you are in poor or below average health, these policies have distinct benefits. Because monthly premiums are based on the applicants' age and health, anyone with less than perfect health could be facing higher monthly fees. With a no medical exam policy, the insurance company will not require you to take a medical exam, which means your health will not impact your rates. Similarly, if you've been denied coverage for a traditional policy, a no medical exam policy could work well for you. While these policies are great for many people over the age of 65, they do come with a couple of serious disadvantages. These policies tend to have higher monthly rates compared to policies that do require a medical exam. They also tend to have much lower face values. Many people have taken to calling them burial life insurance plans or final expense insurance, because they are only large enough to help settle an estate. Most large life insurance companies offer a no exam life insurance policy plan. With Transamerica, you can get a no physical exam policy up to $50,000 as long as you are 70 or under. Transamerica doesn't require a physical exam, but will order an Attending Physician Statement – which is essentially your Doctor records. If you're looking for a policy of $25,000 or $50,000 and age 70 or younger, Transamerica is a great choice. Policies over $50,000 will require a medical exam – but don't worry it sounds more complicated than it is. The life insurance company has contracts with Paramedics around the country, and will send a Nurse or Paramedic to your home to draw blood and take a urine sample. There is no charge for this, and you aren't in any obligation to take the policy, even if you get approved. The medical exam is simple, and should take less than an hour. After the medical exam, the Paramedic or Nurse will send all of the information back to the insurance company to review the results. Using the results of the medical exam, as well as all the other information they have gathered, the insurance company will decide which rates category you fall into. Several different categories will impact your monthly payments: preferred plus, preferred, standard plus, standard, preferred smoker, and standard smoker. 65 Year old Male $250,000 Term Life Policy for 10,15, and 20 year term. Preferred Plus is the best rate you can get, but not everyone will get that. The 2nd best rating is Preferred, 3rd best is Standard Plus, and 4th best is Standard. I won't quote each category, so I'll jump down to Standard so you have a range of what you can expect for a 10-year term $250,000 policy for a 65-year-old male. Hopefully these examples give you an idea of which companies have the best rates and the range of pricing you can expect on a 10 year $250,000 policy for term life insurance at 65. Let’s now take a look at a 65 year old male $100,000 15 year term life policy. Lastly let’s get rates on a 65 year old male $100,000 20 year term policy. As you can see in the examples of 10,15, and 20 year rates, comparing quotes can save you money and Protective Life and Transamerica have the most competitive rates for this age and coverage amount. What About AARP Term Life? AARP does a lot for seniors. They advocate for seniors' rights and provide some excellent products for seniors. However, their Term Life offering is lacking. With AARP term life insurance you are limited to a $50,000 or $100,000 policy, though if you are seeking a larger policy such as a million dollar insurance plan, we can help find the company that will best work for your needs! Pricing is not level throughout the life of your policy – in fact, rates increase every 5 years! As a senior living on a fixed income, it simply doesn't make sense to buy a policy that increases in price – you can read more about AARP in this CBS article. The one benefit of AARP is that there are a few simple questions they ask you to qualify and no medical exam is required. If you are healthy, you will get much better rates from the companies I mentioned in this blog post, as opposed to choosing AARP. In just about every case, you can find better coverage than the AARP Term Life policy. If longevity runs in your family, or you want to guarantee that you will leave something behind, whether to cover final expenses or just leave an inheritance, you might want to consider a policy that never expires. While the price tag is higher than a term policy, some people want permanent policies. If you are in this category than I recommend you consider a Guaranteed No-Lapse Universal Life Policy. These policies are guaranteed to last forever, and are significantly less expensive than Whole Life policies. The reason for this is that unlike Whole Life policies, guaranteed universal life policies are not designed to build cash value, and the death benefit stays level. With a whole life policy, there is a build up of cash value that can increase the death benefit over time. Most seniors find the pricing of Guaranteed Universal Life policies much more affordable than Whole Life. Now that you know what the rates could look like depending on which category you fall into, now you're probably wondering what determines which one you are in. There are plenty of different aspects that your life insurance company will look at to determine your rates. As we've mentioned before, they will look at your height, weight, and current health condition, but that is not all they will evaluate. There are a lot of things life insurance companies look at that most consumers do not know about. Aside from your basic measurements, they will also look at your family history, your tobacco usage, your driving record, occupation (if you still work), and your hobbies. Each of these factors goes into what you will pay every month. If your family has a history of health complications or disease, you might be considered a higher risk applicant. If you have a high-risk job or any dangerous hobbies, it can cause you to pay higher rates. Similarly, if you have a poor driving record, the insurance company will see you as a hazard and will charge you more every year for a policy. While you can't control factors like family history, age, or your height, there are several factors you can control that will help lower your rates. One of the easiest ways to get lower rates is by living a healthy lifestyle. Maintaining a healthy body-weight can help you receive better rates and pay lower premiums. If you’re overweight, you’ll need to shed those extra pounds before you apply for your life insurance plan. Overweight applicants are going to pay around 50% more for their life insurance. It’s time to lace up those running shoes and hit the gym. One other easy way to get lower rates is to stop using tobacco products. If you are a smoker or use chewing tobacco, it can cause your required payments to go through the roof. Quitting tobacco can give you a huge discount on your policy. If you’re a smoker, then you’re at a much greater risk to be diagnosed with health complications, which means that you’re a much greater risk to the insurance company. In fact, smokers are going to pay around twice as much for life insurance versus what an applicant of the same age that doesn’t smoke is going to pay. If you want even lower rates, there are a few simple tricks to get you the lowest rates possible, even for consumers over 65. If you have a lead foot, slow down! Have a clean driving record can save you money every month. If your hobbies are considered "high-risk," it might be worth it to find a new hobby. Activities, like skydiving or flying personal airplanes, can cause red flags when applying for life insurance. Instead of living life on the edge, pick up hobbies like golf or jogging. One other important tip for finding the lowest rates is to compare several insurance companies before you decide which one works best for you. Each insurance business has different criteria for applicants, and each one will look at you differently. If you are not happy with some of the rates you have been quoted, contact other insurance agencies, you will be surprised at the different rates you can receive. Unlike other traditional insurance companies, we are a group of independent insurance brokers, which means that we don’t only work with one single company. Instead, we represent dozens of highly rated companies across the nation and we can bring all of the best insurance quotes directly to you. Every insurance company is different, and you’ll receive drastically different rates depending on which company that you get the quotes from. Instead of wasting hours and hours calling companies yourself, let us bring the best rates to you, without the hassle. Life insurance is one of the most important investments that you’ll ever make for your loved ones. There are a lot of applicants around the age of 65 that assume that they don’t need insurance coverage because of their age, or they think that they can’t afford the premiums. Both of these couldn’t be further from the truth. Just because you’re retired, or getting close to retirement age, doesn’t mean that you can skip a life insurance policy. Not having adequate insurance coverage is one of the worst mistakes that you can make. We know that nobody wants to think about something tragic happening, but not planning for the inevitable will leave your family with a massive amount of debt and other final expenses. Losing someone you love is never going to be easy, but being responsible for thousands and thousands of dollars of debt is going to make the situation a thousand times worse. You don’t know what’s going to happen tomorrow, which means that you shouldn’t wait any longer to get the insurance protection that your loved ones deserve. 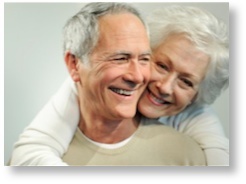 Life insurance for seniors over 65 doesn’t have to be expensive. As you can see from this article there are many options that you can consider, and at ChooseTerm.com we can help you sort through the maze of options and figure out what works best for you and your family.